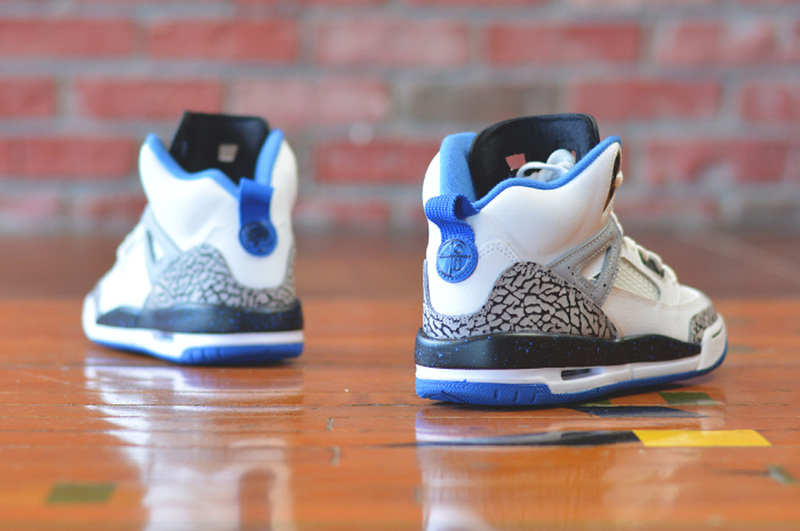 Along with the 'OG' edition, this Jordan Spiz'ike will also release. 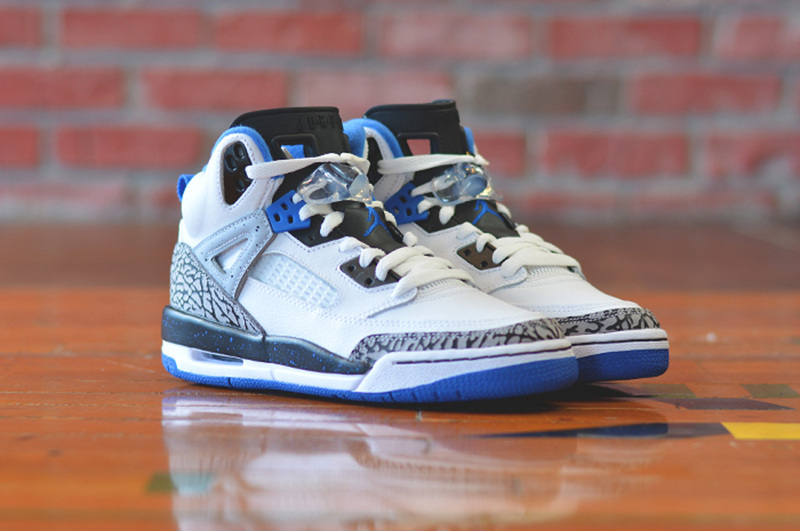 Along with the 'OG' edition, this Jordan Spiz'ike is also set release. 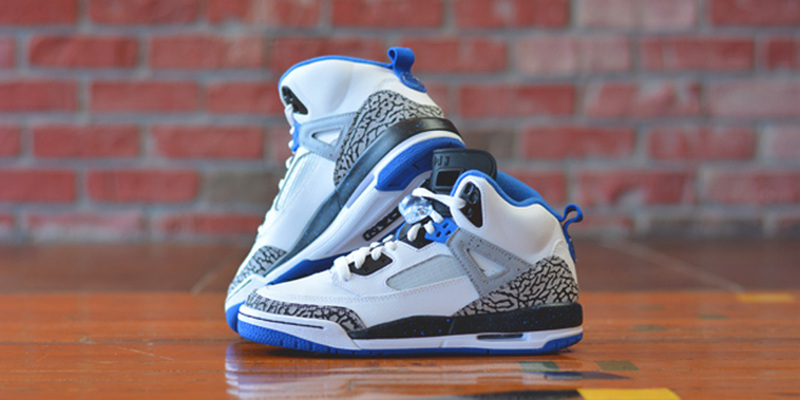 Known as the 'Sport Blue' edition, this pair comes in an all-new white, sport blue, black and wolf grey colorway. Featuring a white-based leather upper with sport blue, black and wolf grey accents. 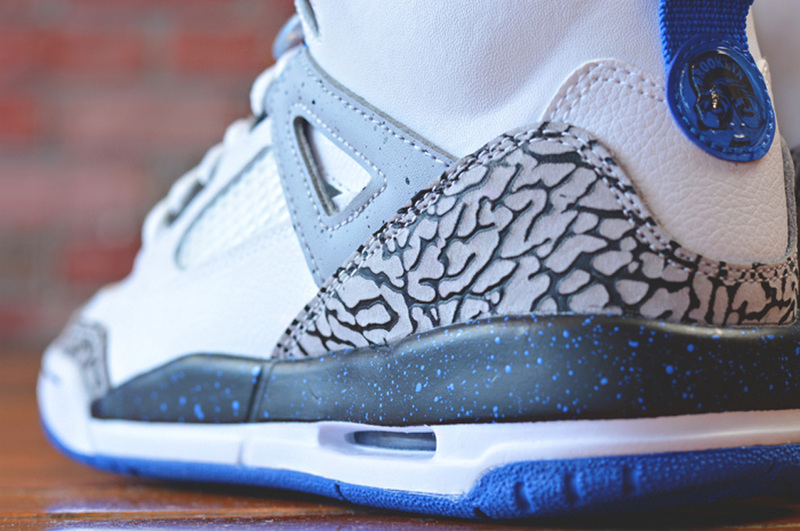 A speckled strap, paint splatter midsole and elephant print detailing finish this pair off. Made exclusively for kids, they will be available in gradeschool, preschool and toddler sizes. 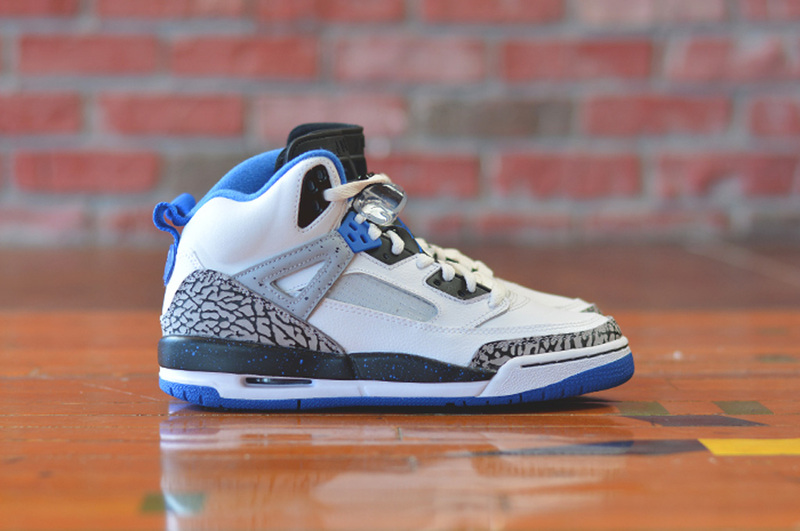 The 'Sport Blue' Jordan Spiz'ike GS hits nike.com as well as select Jordan Brand retailers such as Renarts on Wednesday, August 13.